Even a basic Twitter user knows the site is a great place to catch up with your friends or exchange notes and photos with friends and followers. And anyone who's used the service for a while knows that the speed of updates on the site makes it a great place to stay on top of the latest news. But did you know that you can do more with Twitter? If you're having problems with your cable television, cell phone service or just about anything else, many big companies have Twitter customer service on offer — and it can be faster and easier than waiting for customer assistance on the phone. So how do you find help? Sometimes just complaining about your service is enough to catch the attention of a customer support agent, but for surefire service, search to see if the company you're having problems with is on Twitter. Be sure you're talking to the right account. Many big businesses use several Twitter accounts and have a specific account for customer service. You can also do a Google search, such as "time warner cable twitter customer service" to find out if they have a Twitter account designated to handling customer questions. Then fire off a quick @ message to that Twitter account, and you may be well on your way to a speedy resolution — without the time on hold. Looking for a new job? Twitter's a surprisingly useful resource for job hunters, letting you leverage the power of your followers to find your next job. Just letting your friends on Twitter know that you're job hunting can bring in a litany of suggestions and recommendations, but if that hasn't gotten you hired, you should know that many companies post job ads directly to Twitter. If there's a specific company where you'd like to work, find them and follow them on Twitter. They might even have an account just for tweeting about job openings! 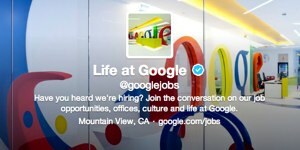 For even more job hits, check out TweetMyJobs, which tweets job openings based on your interests. TweetMyJobs is not run by Twitter and requires you to sign up for their service. 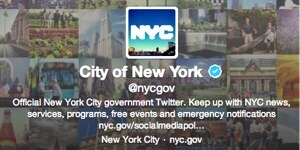 Or, search for Twitter accounts for your city (like @nycgov), specific government offices (like @NYCMayorsOffice) or specific departments (like @NYPDnews). While you'll find less activity in smaller cities than somewhere like New York City, you may be surprised to find that even your small town is on Twitter. 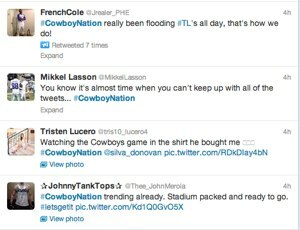 Searching for specific hashtags can help you jump into the conversation about favorite TV shows (like #BreakingBad), the latest movie releases (like #Elysium) or your local sports team (like #DallasCowboys or #CowboyNation). If you see a hashtag in your timeline or in the trends section on the left side of the site, you can click on it to see more about the subject, or search for information by typing a hashtag directly in the search bar. Want to start your own conversation or reply to someone else's? Be sure to include a hashtag so that others can find it! Looking to catch the latest tunes? Log on to Twitter #music to find out which songs your friends are listening to as well as what bands, albums, songs, and other music-centric topics are popular on Twitter. Check out what the biggest stars in the industry are doing, what's popular, and find emerging or lesser known artists that are getting social media buzz. But Twitter #music is more than just chatter: you can also stream full songs from the service, when it's paired with an account from Spotify or Rdio. It's a great way to discover the latest music! Home in further by typing the search keyword near: in front of a location, so you might search near:"new york city" for the latest buzz from the Big Apple. This kind of search is especially handy at events like festivals or conferences to see what other attendees are up to. However, it depends upon people using Twitter's location services, which individual users have to turn on — so while it's a handy tool, you might not catch all of the latest news. 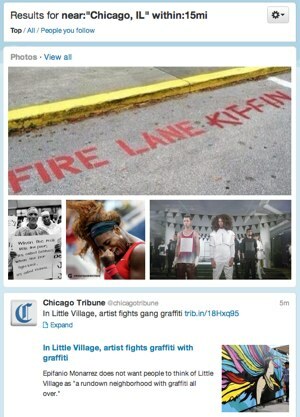 Many cities, regions and events also have their own hashtag for easy searching. So instead of searching for near:"new york city", you would search for #nyc to find any messages on the service that users have tagged NYC. Hopefully we've opened your eyes to a new world of Twitter options. Happy tweeting!